It is a little large for my battery but nevertheless it fits the battery tray on the trolley and is a relief from struggling with two broken carrying straps. Good fit amazing delivery, there next morning.. Thank you Tayna batteries to send me the carrying bag with a simple request via email. Thank you! 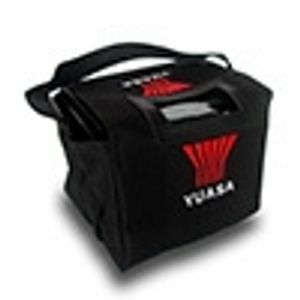 Yuasa Golf Battery Bag Suitable for carrying 24-26Ah Golf Batteries.